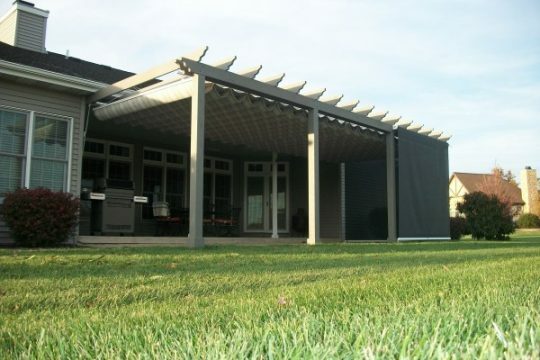 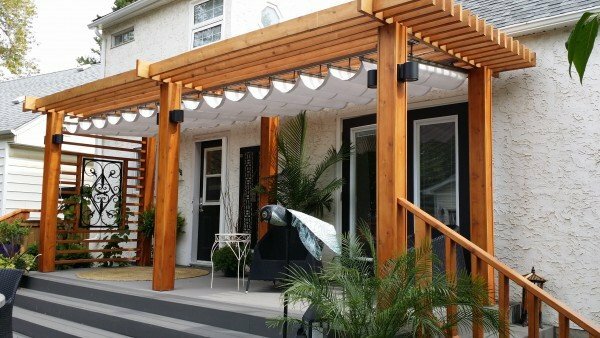 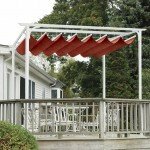 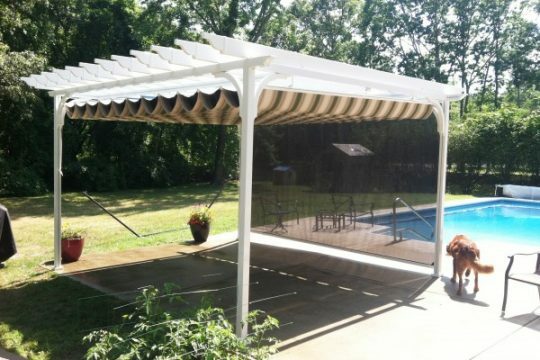 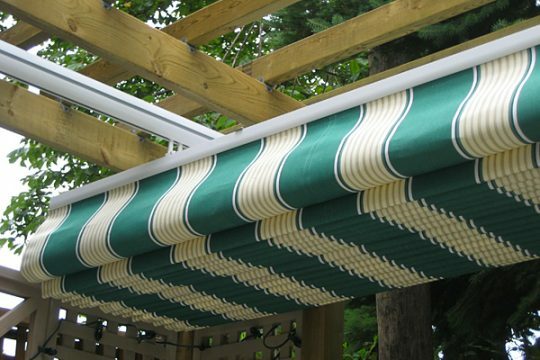 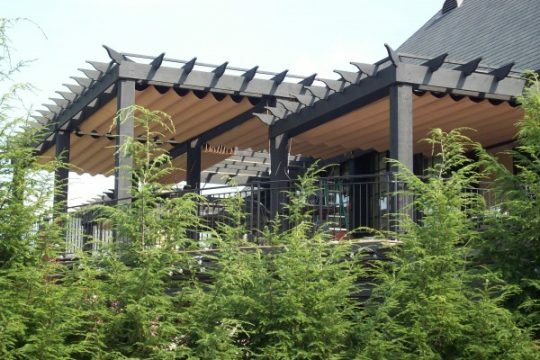 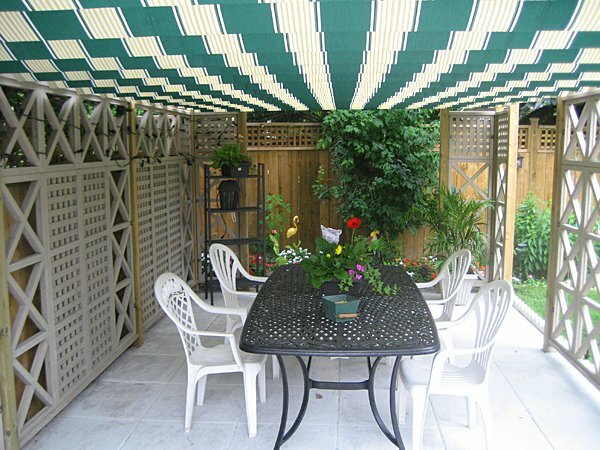 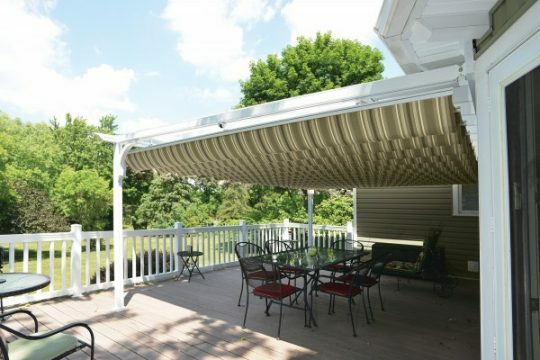 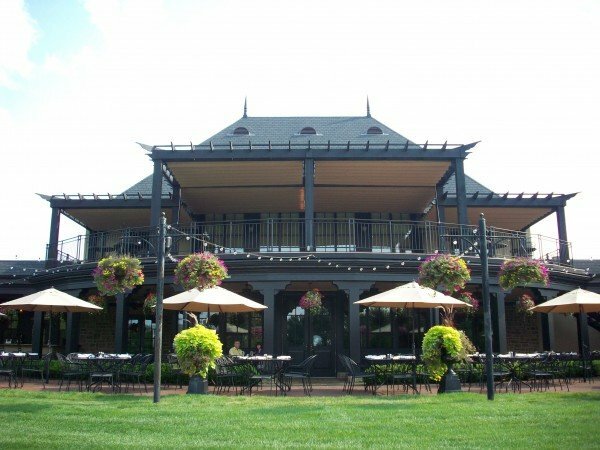 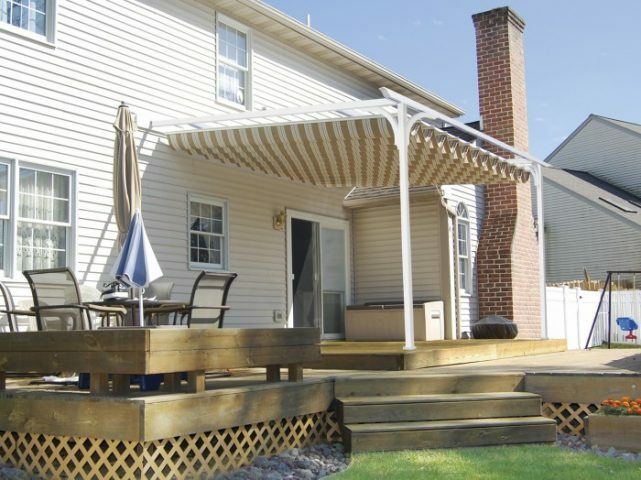 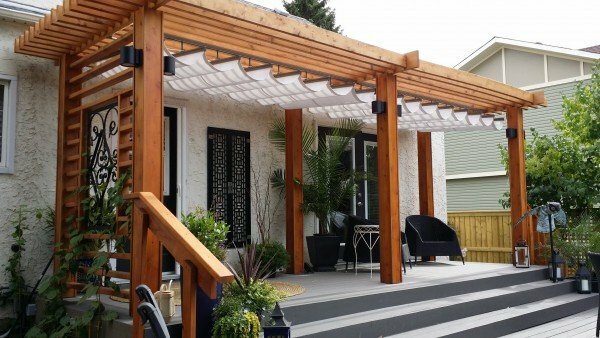 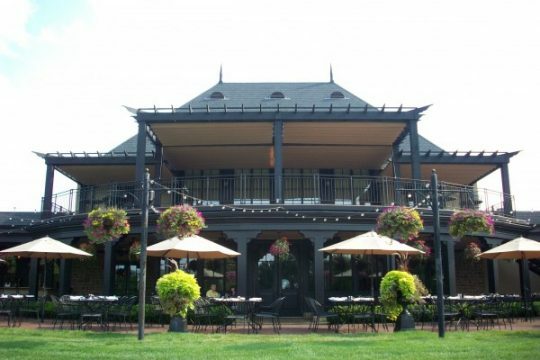 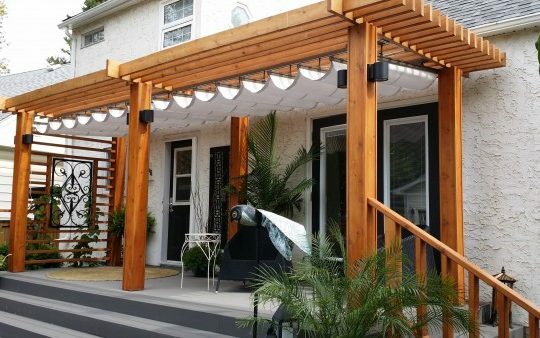 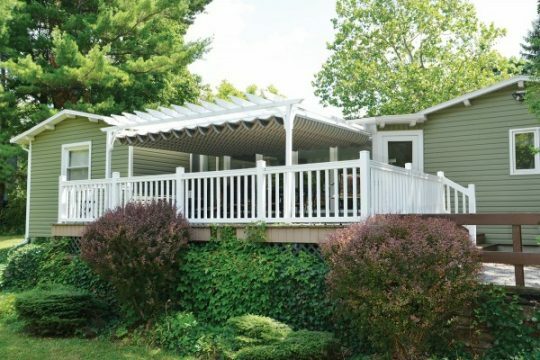 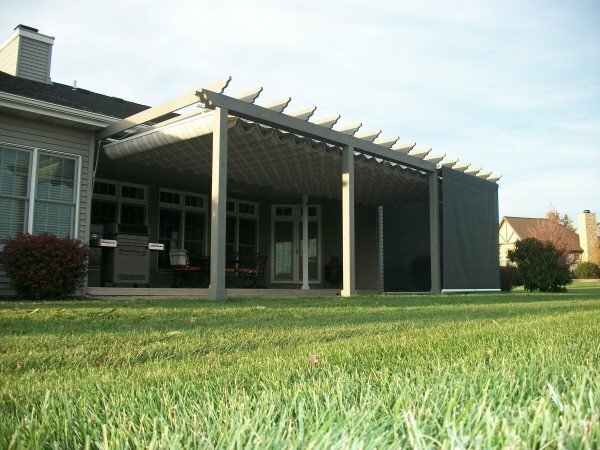 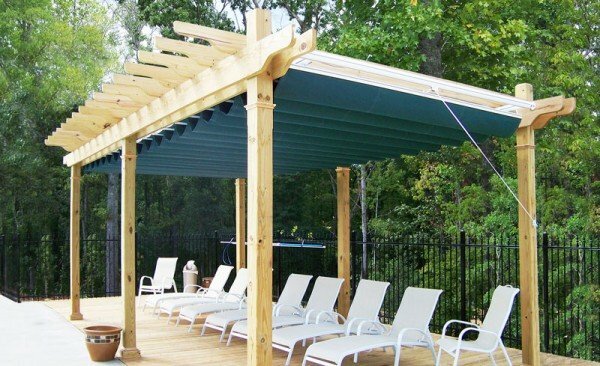 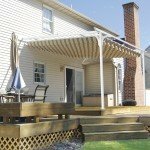 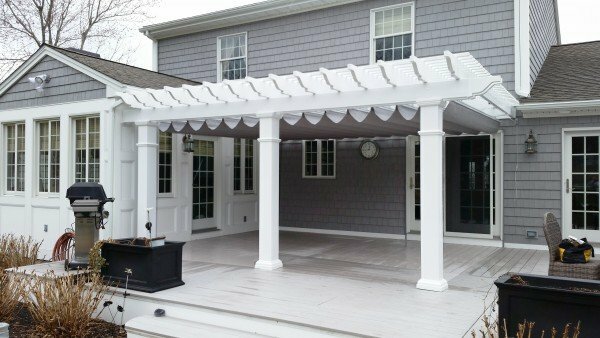 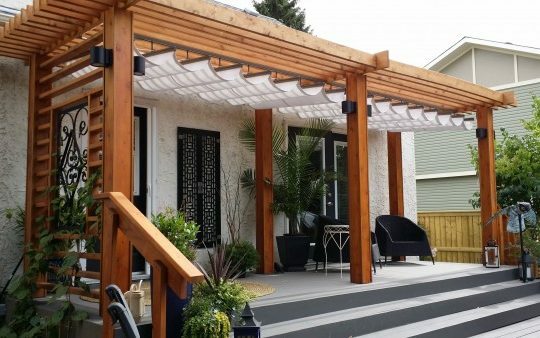 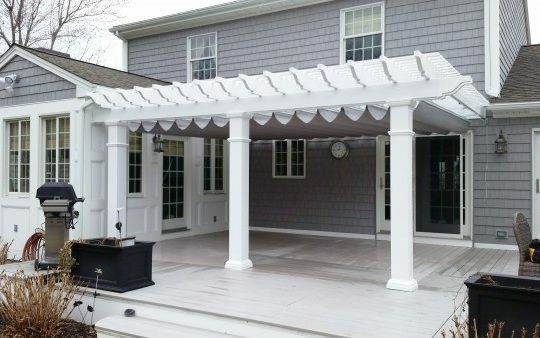 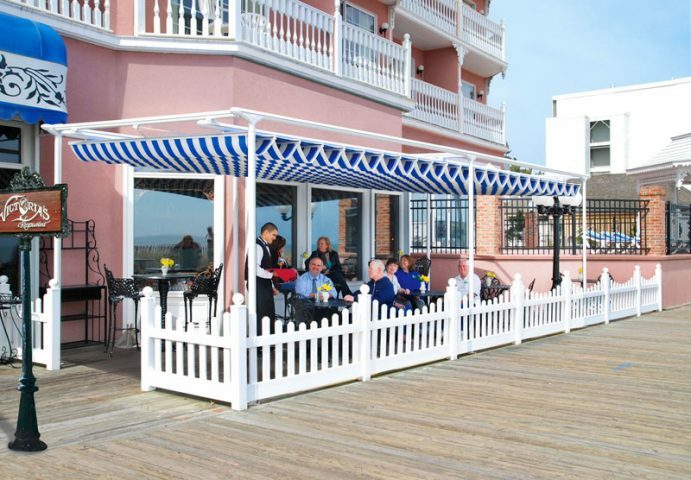 Retractable Canopies are a unique alternative to the traditional pergola or patio cover! 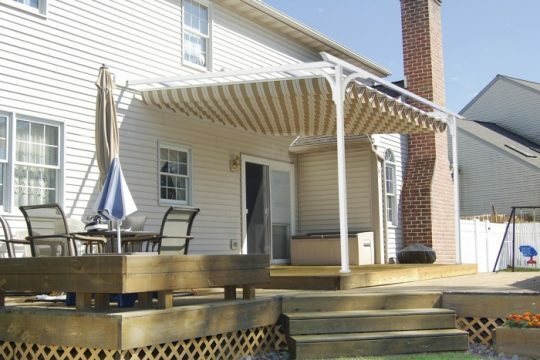 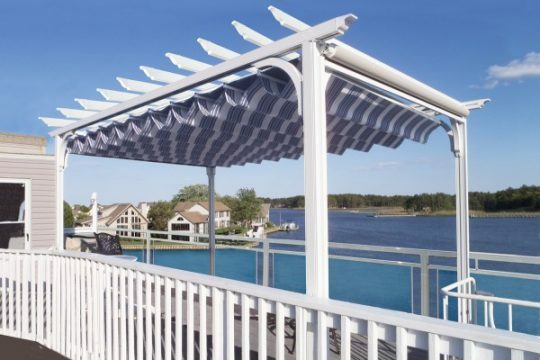 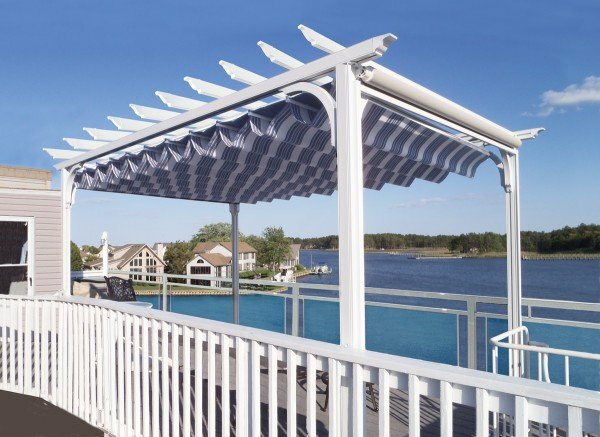 Retractable Canopies are versatile shading structures that retract manually, with a host of fabric choices that match your home décor to create a comfortable outdoor space! 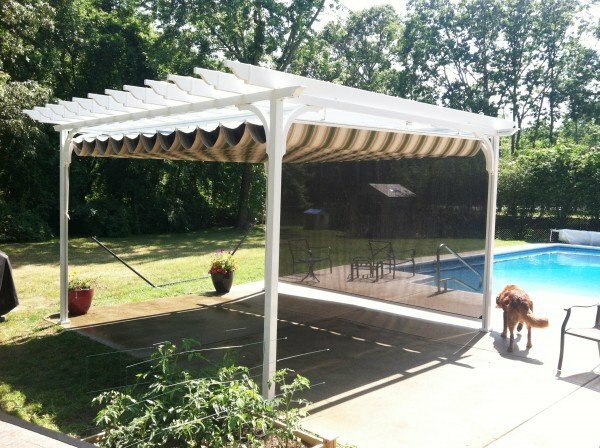 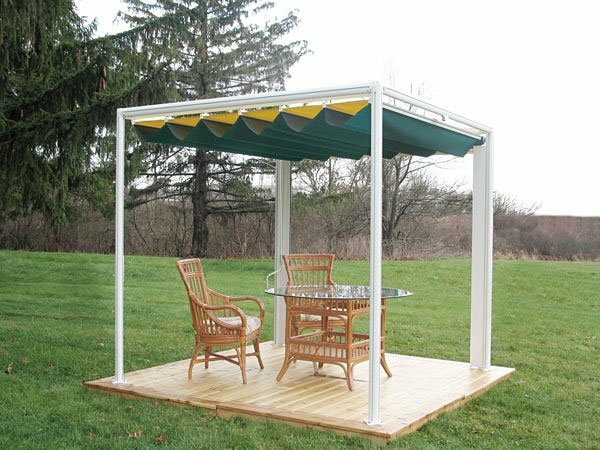 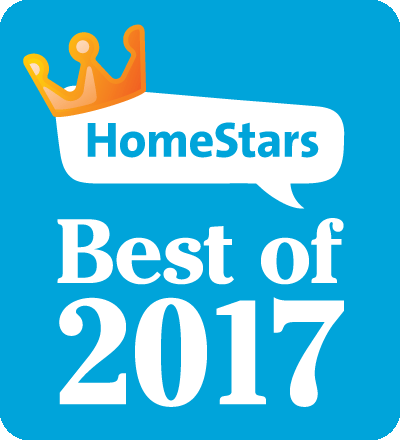 These unique structures can be installed free-standing or mounted to a home, pool house or other outdoor structure. 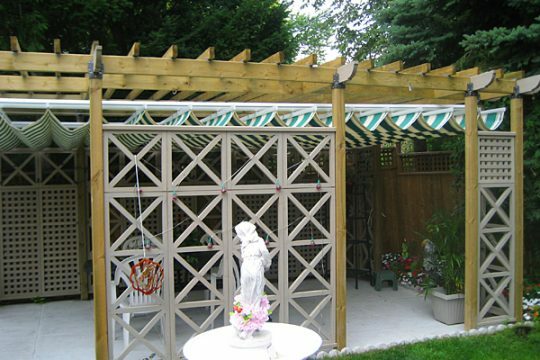 They can also be mounted under your existing pergola. 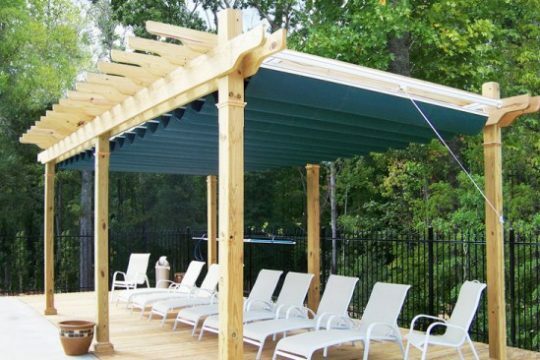 Ideal to cover verandas, terraces and roof gardens – retractable canopies can provide shade around your pool and provide the atmosphere you need for entertaining in all kinds of weather. 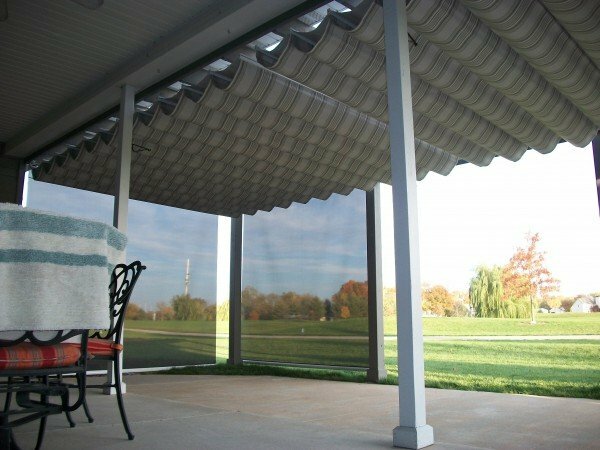 Many commercial applications! 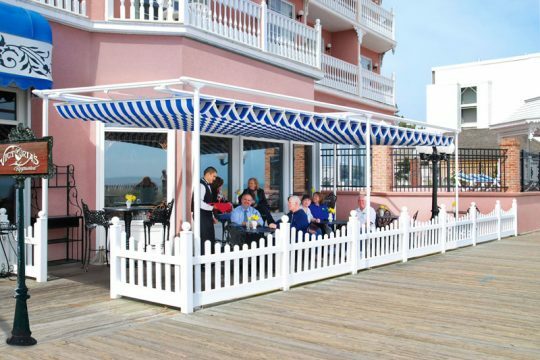 Perfect shelter for outdoor cafes and sidewalk seating. 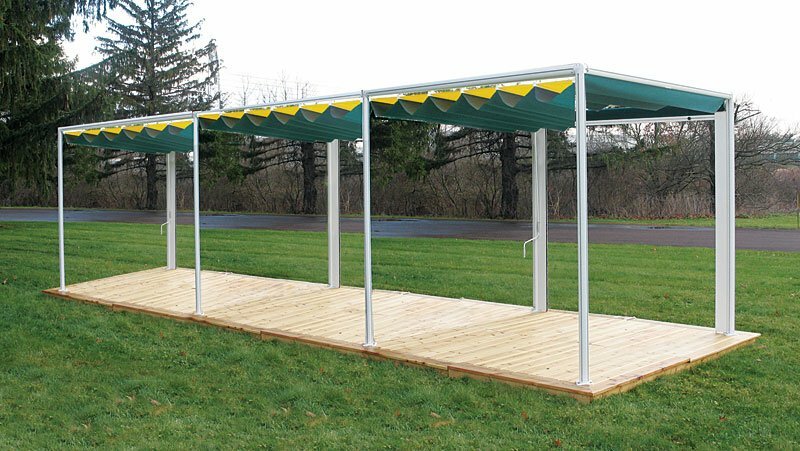 Units can be joined to cover larger spaces. 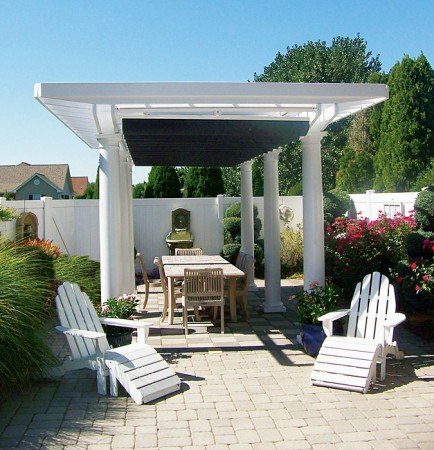 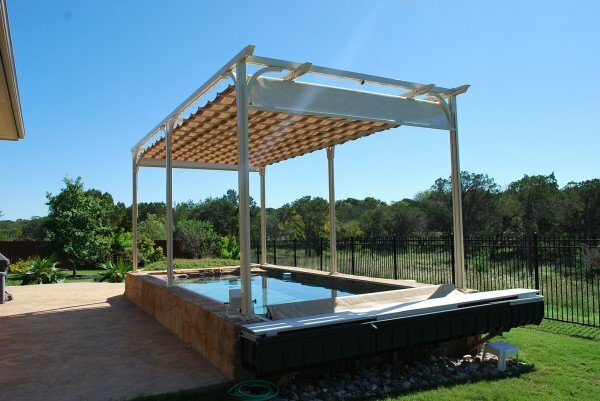 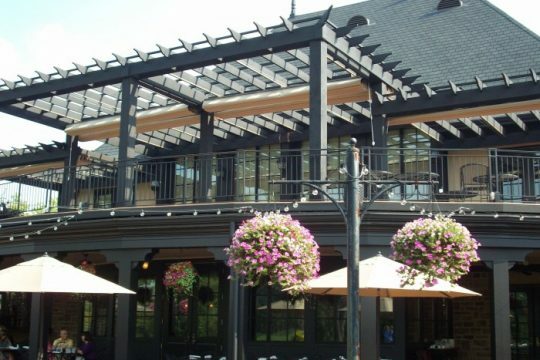 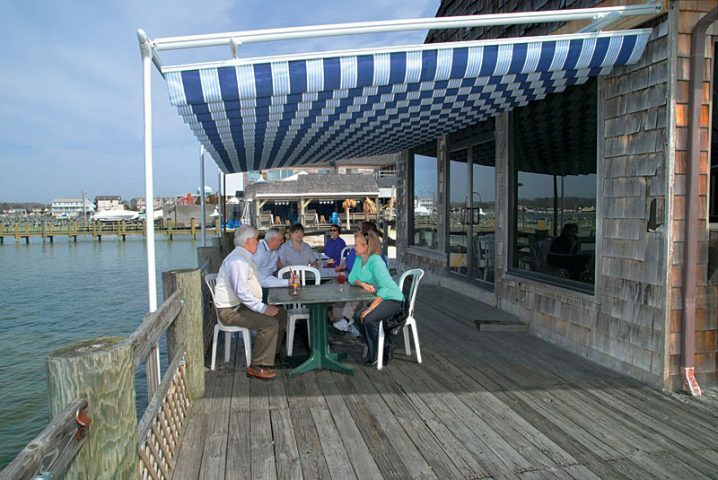 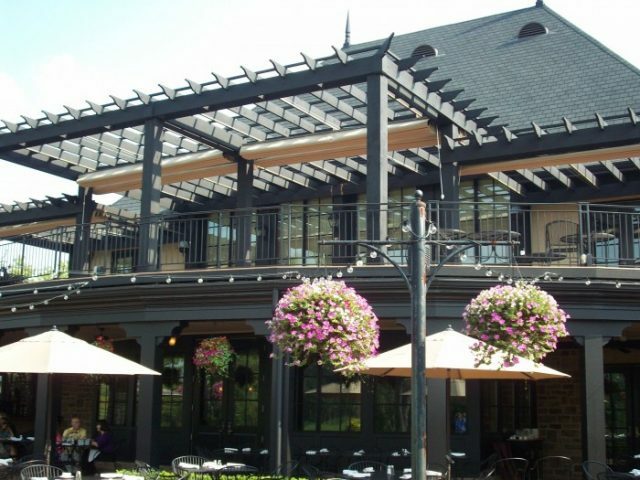 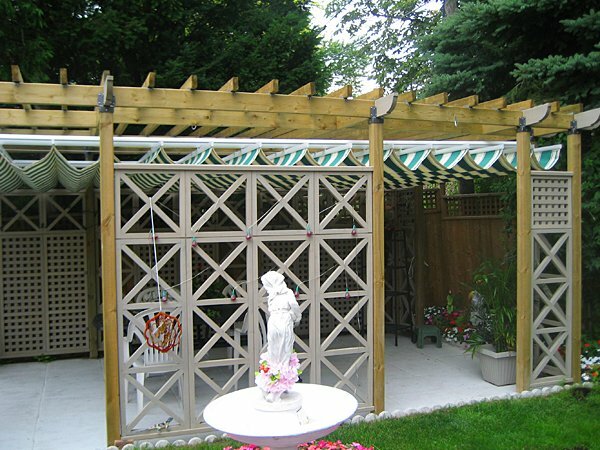 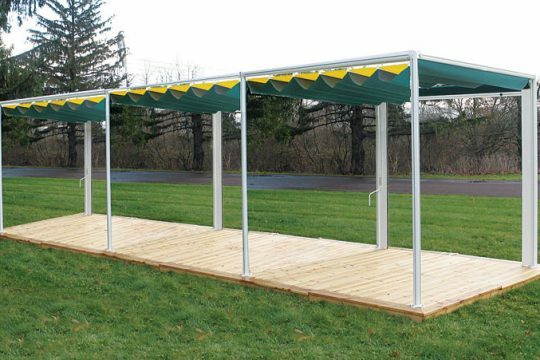 Canopies can be custom sized and mounted directly to the rafters of any size pergola to provide added comfort! 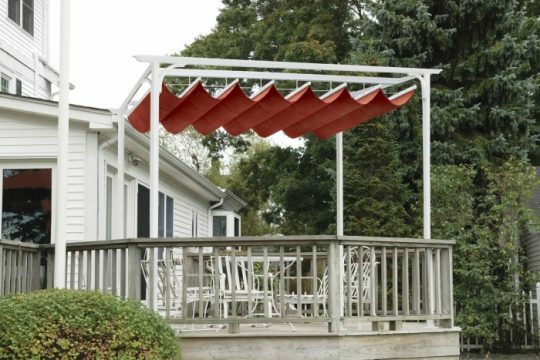 Craft-Bilt’s latest innovation for our Betterliving™ Canopy system. 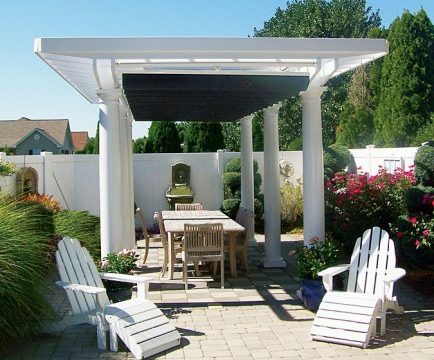 Now you can have it all, the ultimate maintenance-free pergola with built in retractable canopy. 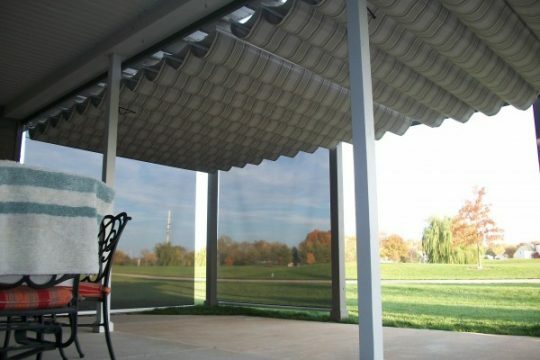 Betterliving Retractable Canopies are easy to install on any residential and commercial properties. 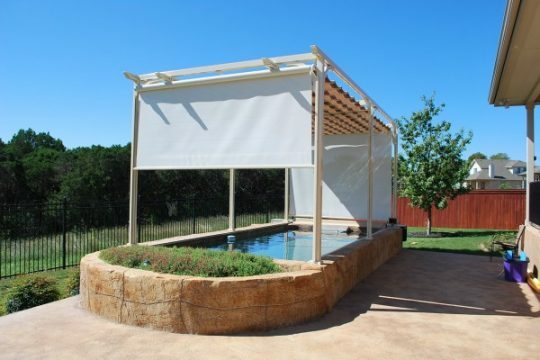 PVC coated polyester or fiberglass mesh screen. 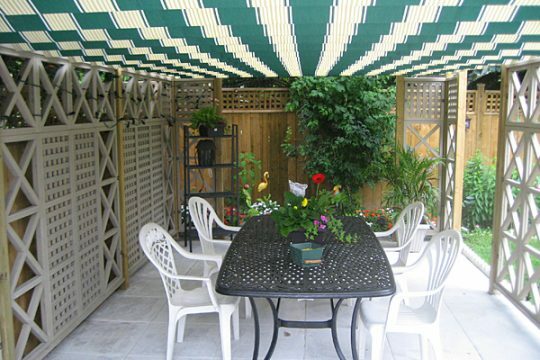 Hundreds of colors, fabrics or patterns. 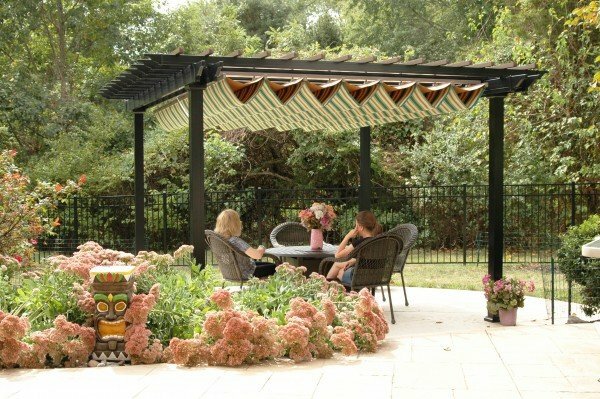 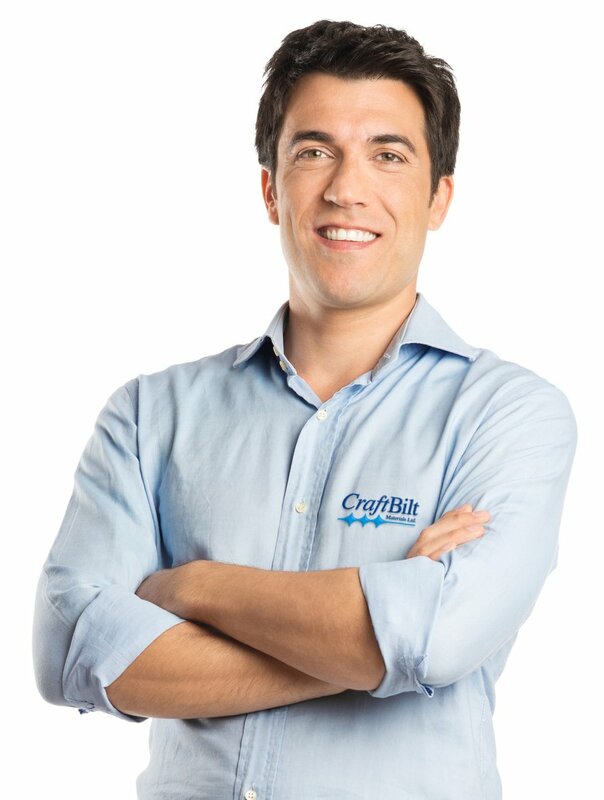 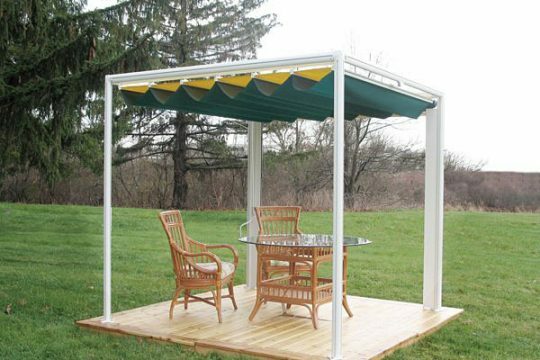 Betterliving™ canopies by Craft-Bilt have a huge selection of durable fabrics to choose from. 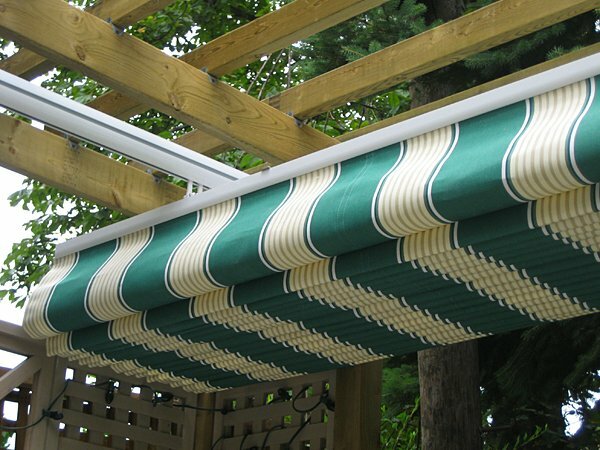 Please visit our Awning and Canopy Fabric page to view available fabric colours & patterns.